BMW was established as a business entity following a restructuring of the Rapp Motorenwerke aircraft manufacturing firm in 1917. Due to the Treaty of Versailles, BMW had to cease aircraft-engine production. Therefore the company shifted to motorcycle production as the restrictions of the treaty started to be lifted in 1923. The first car which BMW successfully produced and the car which launched BMW on the road to automobile production was the Dixi, it was based on the Austin 7 and licensed from the Austin Motor Company in Birmingham, England. Its journey hasn’t been the smoothest, however in June 2012 BMW was listed at the #1 most reputable company in the world by Forbes.com. It also owns and produces Mini cars, and is the parent company of Rolls-Royce Motor Cars. BMW produces motorcycles under BMW Motorrad, and plug-in electric cars under the BMW i sub-brand. 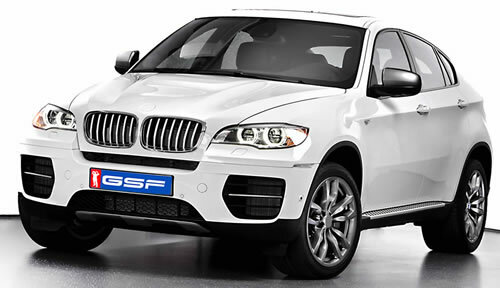 GSF Motor Works is one of the largest independent BMW car servicing workshops in Central and South-West London. In our garage the BMW car owner can have the service, repair and the maintenance of his car carried out cost effectively by our mechanics in line with the manufacturer specifications. GSF Motorworks has the latest diagnostic equipment and can carry out MOT tests as well as premium quality bodywork repairs. We are BMW Specialists and BMW Service centre. Hundreds of loyal customers trust us to service a BMW car similar to yours in our spacious workshop that spans across 9 servicing bays. Depending on the BMW model, be it a BMW M3, X3 or a BMW 520d, your driving style and driving conditions we apply either the Condition Based Service or the more traditional scheduled BMW Service that ranges from an oil service to an Inspection type 1 or type 2 service. In our car service workshop we can carry out your BMW MOT test as well as repairs and bodywork. With GSF Motor Works you maintain the BMW Warranty as we strictly adhere to BMW Car Service specifications, use dealer level BMW diagnostics equipment and apply BMW approved parts and accessories. The BMW Service Cost with us is a fraction of what main BMW dealers charge. What we offer is not a cheap car service as many independent BMW garages do – we offer a trusted value for money alternative. We serve BMW London SW, West and Central area and additional services include BMW MOT and any type of BMW Repairs. Are you looking for a BMW car key replacement? Do you need to have your BMW checked for wheel alignment? Do you want to have dents and scratches fixed or are you looking for some more serious BMW repair? Or is it just about a simple service, and want to ensure that a proper BMW diagnostic process will be applied? CBS – Condition Based Service was first introduced with the BMW 7 Series and is an evolution of the service interval indicator that has featured on other models in the BMW range. CBS sensors monitor the condition of parts such as spark plugs, filters, and brake pads as well as all operating fluids. This means your BMW only receives attention when it needs it, saving you both time and money. During every visit in our garage, we carry out diagnostic interrogation, we check and verify any control messages, we check indicator and warning lights on instrument cluster and we reset CBS display. The Service Interval Indicator counts down the mileage until your next service and shows you the information you need to know on your dashboard display. Once the service is carried out our technicians will reset the indicator and then you’ll be ready to go again. Lighting system instrument and indication Heater/air conditioner: change micro filter/carbon canister. Windscreen washer and intensive cleaning systems: fluid levels At every 3rd engine oil change: (only on diesel models): Intake silencer and fuel filter are checked. Steering fluid reservoir: fluid level. Reset service interval indicator. Brake pads: check pad thickness with measuring gauge. If needed, pads will be replaced and brake caliper cavities will be cleaned . Brake lines and connections: visually inspect for leaks, damage and correct position Replace main fuel filter (if diesel).